When I woke up Sunday morning, I did not expect my day to end up focused on the Civil War. It was not even a topic that was remotely on my mind. I was in Arkansas visiting friends and we planned a trip over to Bentonville to see another friend who was busy with pet adoptions as they prepared their shelter to take in animals from Houston. But politics and the Civil War were waiting for us in Bentonville. We arrived in Bentonville exactly on time to walk to the town square and meet up for lunch at a local restaurant. For those who have not been there, Bentonville is the site of the very first Walmart store. There, along the town square, is the Walmart Museum. A peaceful little park with a statue fills the town square. I was surprised to see an abundance of American flags in the center of the square surrounding the statue. 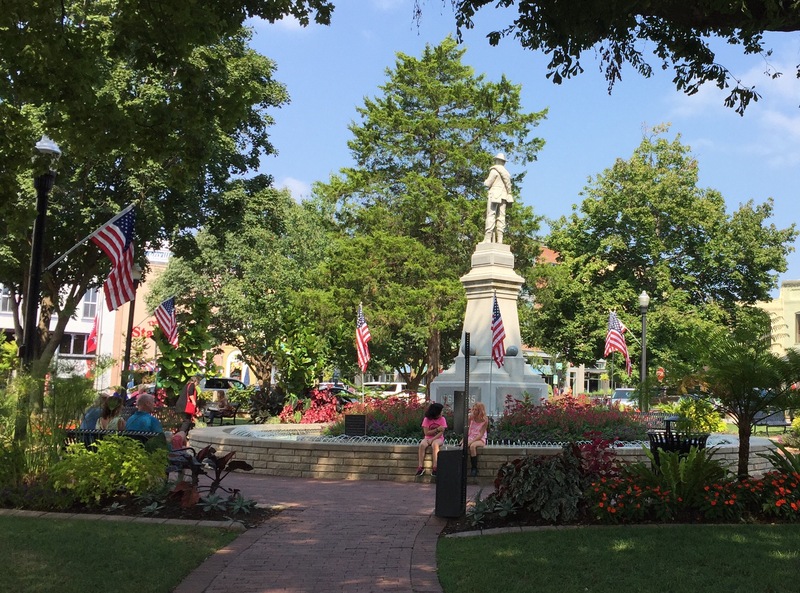 American flags surround the the statue in the town square. My Eureka Springs friend said to my Bentonville friend upon greeting, “Well you have had some excitement here.” My Bentonville friend, “Don’t even go there!” So of course I needed to know. That lovely little statute I had seen several times was actually a monument to the Confederate soldiers who lost their lives in two battles near Bentonville, the most important was the Battle of Pea Ridge. I never realized what the statue was before. We had seen it and walked past it and never really looked at it. But over the last few weeeks, quiet Bentonville had been the scene of protests over this statute. We left town square for lunch and all conversation turned to the rescuing of dogs from Houston. My Bentonville friend was involved with a shelter that was receiving dogs that afternoon that were being transported up from Texas. The day before a truckload of pet supplies had headed south. My contribution had been cat litter. Our discussion of the Civil War ended as we discussed Houston. After lunch we left Bentonville and headed back to Eureka Springs on a different road. As we traveled, we planned the rest of the day. 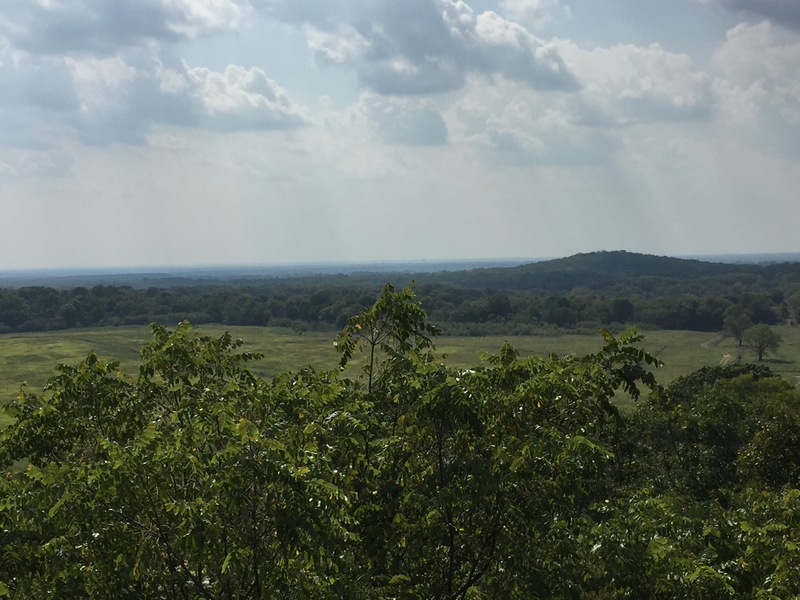 My husband was checking his phone to see what was around when he came upon the Pea Ridge National Park. We had recently purchased our life time National Park passes and were excited to use them. We were not sure what we would see. But were delighted. It is a gem! Who know that one of the most important and vicious battles of the Civil War took place in Arkansas? Not me! The battle that changed the direction of the war was here! 16,000 Confederate soldiers met 10,000 Union soldiers on Pea Ridge in March 1862. At the end of the two-day battle almost 3500 soldiers were dead. Many more were wounded. This battle changed the balance of power of the Civil War in Missouri. 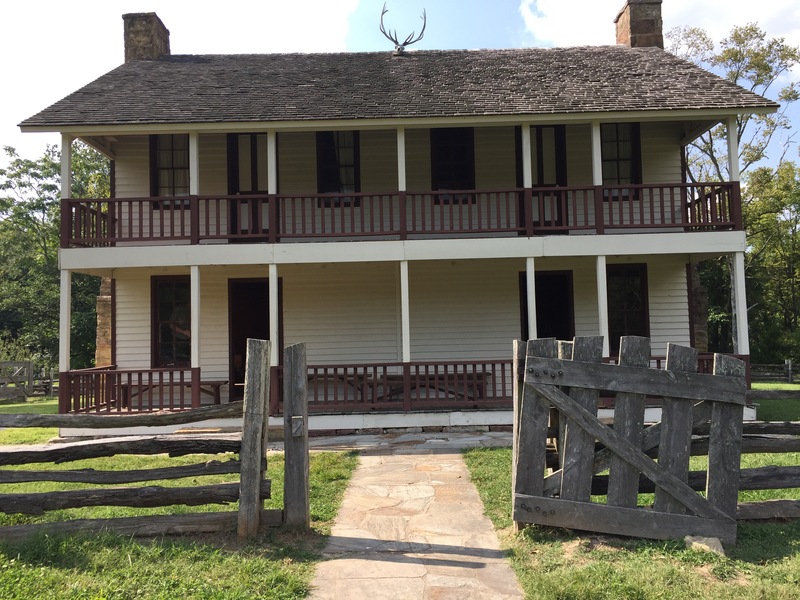 It was here that the Union defeated the largest Confederate army ever brought together and due to that defeat were able to keep the Confederate soldiers out of Missouri and head south to split the Confederacy in half. This battle basically set the course for a Union win. Elk Horn Inn was a privately own home used as a field hospital. Although many soldiers were originally buried at this site, the graves of the soldiers were disinterred in the late 1880s and moved to two cemeteries: one for Union soldiers and one for Confederate soldiers, both in Fayetteville. But in a field near the Inn are two monuments that were placed in a plea for unification. The large open field where the soldiers met is reminiscent of Gettysburg. In watching the movie at the museum and walking through the museum displays, one can feel the sorrow that this battle caused. One sign commented that local farmers could not plant crops that year due to the destruction and the blood soaked lands. Agriculture was destroyed. We drove the circuit around the battlefield, stopping at several key sites. This was a battle for our nation’s soul. This was a battle that changed the course of the war. And so many lives were lost. We spoke to park rangers at the Inn who explained in more detail what had happened there. When we drive from my friend’s home in Eureka Springs to Bentonville, we pass a house where the owner flies the Confederate flag. That always angers us. Why fly this sign of hate? Why not honor those who died by joining together to work in unity, and as is honored at the Pea Ridge site unification. In the car on the way back we discussed the Pea Ridge site. The impact of what we had seen. The next day, the local newspaper, “The Northwest Arkansas Democratic Register, had an article about discussions the Bentonville community will have in a public forum. My personal opinion: The statue of the Confederate soldier should be moved. If it was a statue honoring both sides, I would feel differently. But it is not. I believe it could be moved to the Confederate Cemetary in Fayetteville. A plaque explaining its history should be placed by it. I am not for destroying monuments, I am for placing them in sites where their value as a lesson could be used. We should not be honoring those who battled to destroy the United States through treason and sedition. But we also can never forget what happened here in the Civil War. Losing that memory will also remove our collective history. And we should never forget that in slavary human beings were once treated as cattle. And that is wrong. I agree with you. It’s never good to deny history, but we do need to place it in the proper context and look at it as objectively as we can with the wisdom and perspective we gain as current events move into history. Can you imagine a statue of Hitler being placed anywhere? I imagine for many who suffered during the slavery era, seeing a Confederate general has a similar impact. Exactly. But I cannot see destroying them. I would rather use them for a lesson at a museum or cemetery. I agree—that’s why I say we can’t deny what happened. We have to learn from it. And so we still have photos and newsreels of Hitler, but we don’t hang them in public places of honor. I think that a history museum that explains the full context of the Civil War would be an appropriate place for these statues and portraits. I read a recent article that outlined the history of when confederate monuments were placed. I was so surprised to see that the vast majority were placed in 1915 or later. That really reframed my perspective on confederate monuments. Yes. The were out up about the same time the immigration laws were starting to be introduced. Main one I think was 1926.